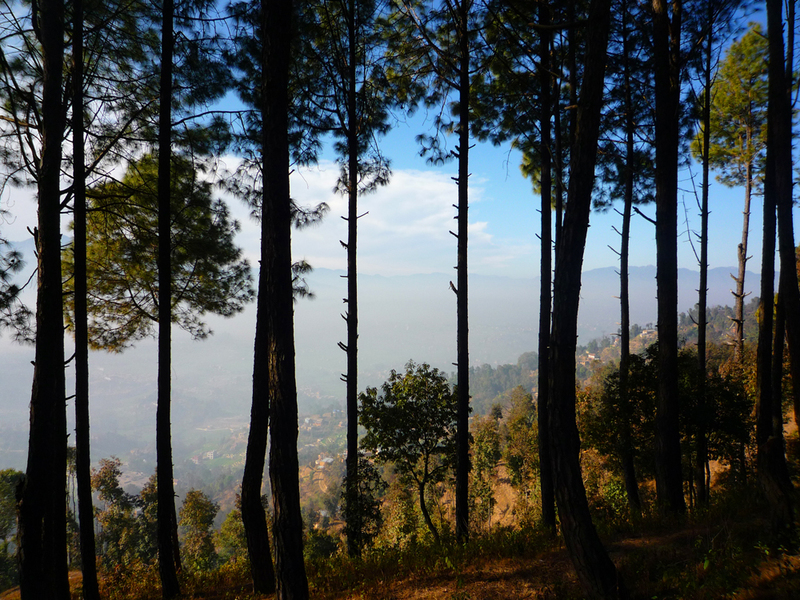 Kathmandu valley is a pot brimming with dust, exhaust gas, and smoke. On sunny days a thick, warm-tinted, dry haze hangs over the city. Finnish, a master of subtlety, has a word for that sun-tinged haze: auer, also known as päivänsavu (day smoke). While auer may be one of the most beautiful words in the Finnish language, on the second day in Kathmandu I was coughing and sneezing my airways inside out. How surprising to learn that made-in-Bangladesh generic allergy medicines can alleviate pollution irritation. 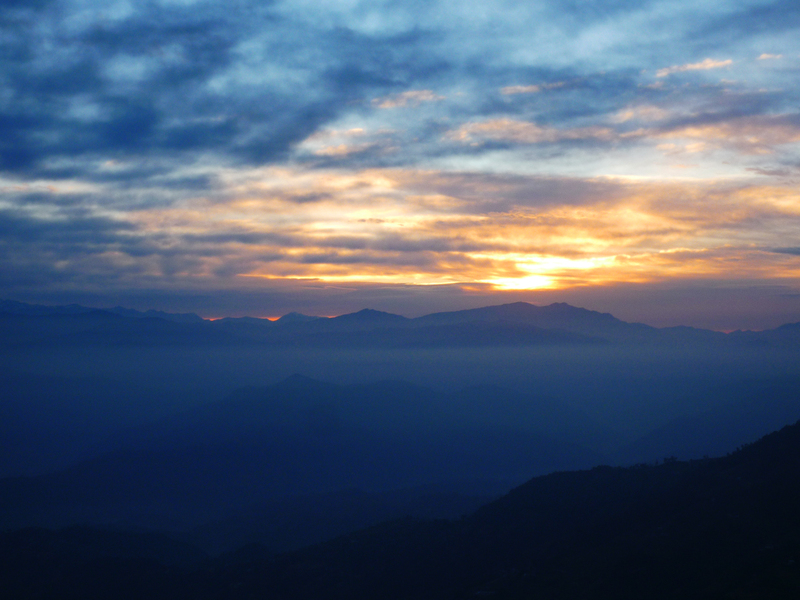 And how lovely to escape out into Nagarkot hills on the fifth day, if only for a night. And what a night. There was a sunset over the valley, a hilarious birthday dinner celebration, learning to play the Tibetan singing bowl, making a sarangi band play “happy birthday” twice because we missed it the first time, and later working on the computer in bed by candlelight in a room that never knew heating. Categories: Travel | Tags: nature, Nepal, outdoors | Permalink.